It’s simply amazing what one can derive about potential future products of a specific company by interrogating the development builds of an operating system. Yes, you guessed it, we’re talking about the first initial beta of iOS 9, and like previous versions before it, it has managed to throw up some interesting discoveries. After spending some time hacking around with the Apple Watch and watchOS 2, Steve Troughton-Smith has delved into iOS 9 and discovered some interesting things relating to UIKeyboard that seem to confirm the existence of the speculated iPad Pro. The discovery by Troughton-Smith in the internals of iOS 9 centers around the UIKeyboard class in the iOS SDK, or more specifically, how the keyboard is handled and displayed by iOS when a specific action calls for the keyboard to be present on the screen. According to the tweet posted by him, he found out that the keyboard on the iPad within iOS 9 seems to scale to a much larger size than previously seen in earlier versions of iOS. The larger scaled keyboard in iOS 9 is also capable of actually dynamically changing the layout of its keys, presumably depending on the device that it is actually being ran on. Further proof that a larger 12.9-inch iPad Pro aimed at pro users, education and business sectors could be pencilled in for an announcement later this year. The newly discovered keyboard consists of a setup with wider keys in certain areas as well as adding a new row of symbols and number keys on top that aren’t seen on the standard iOS iPad keyboard. Caps Lock and Tab keys are also added to the left-hand side of the UIKeyboard instance. 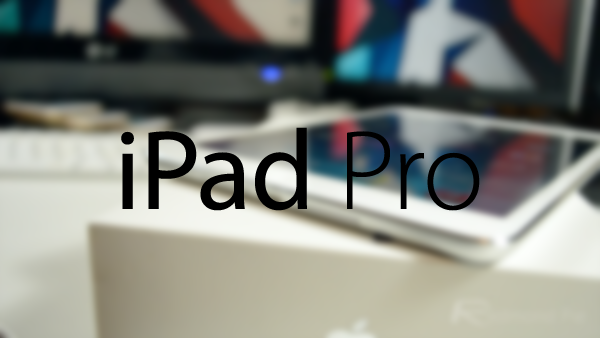 The iPad Pro speculation has been one of those niggling little rumours that continues to persist and simply won’t disappear into the ether. As you might expect, Apple has done little officially to confirm or dispel the speculation, but what we can take from historical conjecture of this nature is that there is always never no smoke without fire. Or in Apple’s case, there’s generally no rumor that lasts for this long without a media event introducing the purported product.